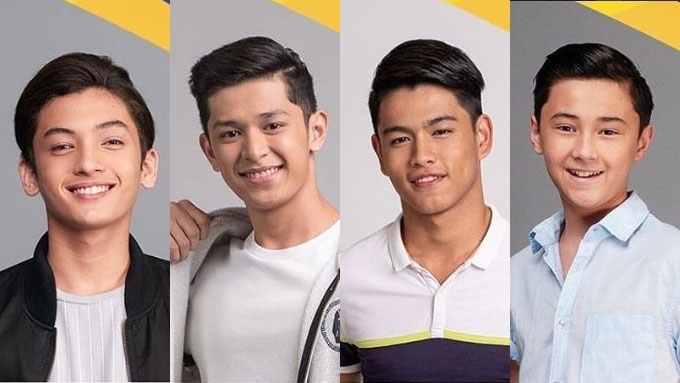 PBB Otso housemates (L-R) Seth Fedelin, Aljon Mendoza, Art Guma, and Josh Worsley were introduced earlier tonight, November 10, 2018. Before Pinoy Big Brother Otso aired its pilot episode tonight, November 10, it already mentioned its new twists and mechanics on its Facebook page. The new season’s theme is the number eight, and it is thus named Pinoy Big Brother Otso. It will have four batches of eight housemates each, and each batch will stay in the house for eight weeks. Seth is the eldest among four siblings. His dad was an OFW who went home after getting a stroke. Seth manages a pool to augment the family income. Aljon wanted to enter the PBB house to beat his social anxiety. When he’s not at home to help his mom in her sari-sari store or his dad in his videoke business, Aljon competes in broadcasting contests in his school. Art experienced popularity when one of his funny videos went viral on Facebook. He lives with a foster family, even when he knows who his real mom is. Josh was born in to Dubai to a Filipina mom and a British dad. He likes living in Samal Island in Davao because he can go on adventures like diving with his dad. The four new teen housemates faced several challenges before they were able to step into the house. Seth and Aljon had to win two different games against other potential housemates, who were called Star Dreamers because they all passed thru the Star Hunt auditions. The ladder toss game is a party game where players have to toss bolas (two balls connected by rope) to a ladder-type structure. The near-housemates had to have the highest score within 88 minutes to win the challenge and earn their place in the house. Seth won by scoring 31 points. He beat Achilles, Rhys and Ali, who scored 23, 21 and 18, respectively. Seth was speechless. He was not able to speak to host Toni Gonzaga when she asked him how he feels. Seth’s mother accompanied him inside the house. Kuya talked to the both of them in the diary room to present the next task, where Seth has to pick among four choices that is related to the food preparation for their breakfast the next day. Sadly, Seth was even more quieter here in the diary room. His mom had more to say than him. Aljon’s challenge, on the other hand, involved diving into a ball pit to collect colored balls. Aljon had to get the colored ball by picking it up between his elbows, then he had to run to deposit that ball into a glass case on the other end of the stage. Aljon competed with Art, Josh and Gabby, a Star Dreamer who is a vlogger from Italy. At the end of 88 minutes, both Aljon and Gabby collected 15 balls, while Art and Josh only got 14 and 10, respectively. Because of the tie, Aljon had to compete with Gabby again. Aljon won by a photo-finish and he was finally able to enter the house while being accompanied by his father. At this point, only Seth and Aljon were able to enter the house. But it’s not the end for Ali, Achilles, Rhys, Art, Josh and Gabby because they were still given two chances to enter the house. The first one was thru the vote of the eight former Big Winners who were present in the audience. They were Nene Tamayo of PBB 1, Keanna Reeves of PBB Celebrity Edition 1, Ruben Gonzaga of PBB Celebrity Edition 2, Ejay Falcon of PBB Teen Edition Plus, Daniel Matsunaga of PBB All In, Jimboy Martin of PBB 737, Myrtle Sarrosa of PBB Teen Edition 4 and Maymay Entrata of PBB Lucky 7. After careful deliberations, the eight former housemates picked Art, who they noted was the most charming and energetic among the six. Art was overjoyed when he was chosen but he started crying when he saw his foster mom. He realized that he will have to leave them for weeks because he will be in the PBB house. The last way to get into the house was via a short viewer voting via SMS. After a commercial break, it was announced that Josh garnered 36.59% of this vote. And that’s how the youngest teen Star Dreamer became the newest PBB housemate. But does this mean that Ali, Achilles, Rhys and Gabby have no more chances to get into the house? Not yet, because there will be a twist to be announced in tomorrow’s live show.